ADEN: Troops backed by a Saudi-led coalition stormed the airport compound in Yemen’s main port city Hodeidah on Tuesday after fierce battles with Iran-aligned Houthis, residents and Yemeni military sources said. The capture of the airport from the Houthis would be an important gain for the coalition led by Saudi Arabia and the United Arab Emirates, who have promised a quick assault on the city to avoid disrupting aid deliveries through the port. 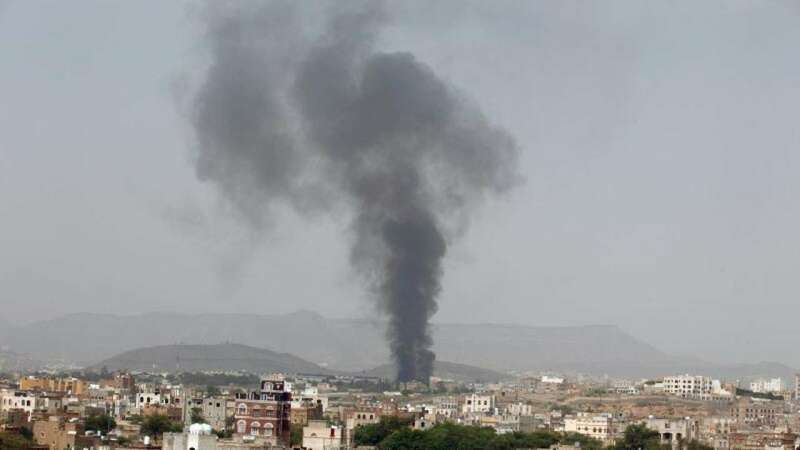 “They have stormed the airport,” an anti-Houthi Yemeni military source told Reuters. “This is the first time we hear the clashes so clearly. We can hear the sound of artillery and machinegun fire,” a resident, who requested anonymity, told Reuters. Warplanes bombarded the airport earlier in the morning, the resident added. The Western-backed alliance launched the onslaught on Hodeidah seven days ago to try and turn the tables in a long-stalemated proxy war between Saudi Arabia and Iran that has compounded instability across the Middle East. The upsurge in fighting has wounded and displaced dozens of civilians and hampered the work of aid groups in the port city, which is a lifeline for millions of Yemenis. The United Nations fears the offensive will exacerbate what is already the world’s most urgent humanitarian crisis, with 22 million Yemenis dependant on aid, and 8.4 million on the verge of starvation. It estimates that 600,000 people live in and around Hodeidah, and in a worst-case scenario the battles could cost up to 250,000 lives. UAE Minister of State for Foreign Affairs Anwar Gargash said on Monday that the coalition was taking a measured approach to minimize risks to civilians, and allowing the Houthis an escape route inland to their bastion in the capital Sanaa. The Arab states say their aim is to seize the airport and port and to avoid street fights in the city center. Gargash said the coalition was counting on Martin Griffiths, the UN special envoy for Yemen who arrived in Sanaa on Saturday, to secure a Houthi agreement to leave Hodeidah. A member of the Houthi politburo, Mohammed al-Bukhaiti, denied the talks centered on handing over the port city “because this request is unrealistic”. “During all his visits, the envoy has discussed a comprehensive political solution that addresses … all the fronts and not just Hodeidah only,” he told Reuters by telephone. The coalition intervened in Yemen’s war in 2015 to try and unseat the Houthis, restore the internationally recognised Yemeni government in exile and thwart what Riyadh and Abu Dhabi see as Iran’s expansionary ambitions in the region. The Houthis, who control most of the populated areas in the unstable nation of 30 million people, deny the Arab states’ assertions they are puppets of Iran. They say they came to power in a popular revolt against corruption and are protecting the country from foreign invasion. Losing Hodeidah would deal a serious blow to the Houthis by cutting off their main supply line. It could also give an edge to the Western-backed military alliance which, despite superior weaponry and firepower, has failed to defeat the group in a war that has killed 10,000 people.